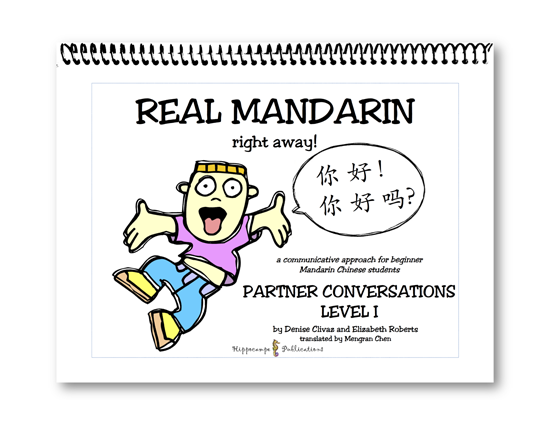 The foundation of the REAL MANDARIN right away program, these conversational activities allow students to communicate using a large variety of structures, vocabulary, and expressions from everyday language. All language is presented within a context and allows students to practice. Teachers model the dialogue, and students practice with their partners in a low-stress environment; everything they need to have a meaningful exchange is right in front of them! This beautiful color book, often shared by a pair of students, can be used over and over again.